Our best tip is to buy the best power supply within your budget that is sufficient for the load. When it comes to buying a power supply, always remember – you get what you pay for. If you purchase a cheap unit, it may not supply sufficient current even when you use it within nominal power ratings. 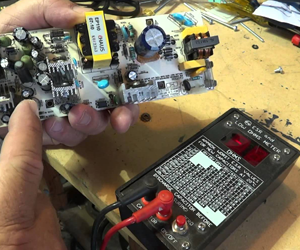 When a power supply fails, it doesn’t fail alone– it usually takes down other components with it. Buying a cheap power supply now will cost you more down the lane. Clean the vent and fan regularly (at least once a week) ensuring they are free of dirt, grease, lint or whatever it is that gathers in your industry. Keep your power supply dry – always. Unless it is designed to operate in wet conditions. And, if your power supply does give up, know that our electronics repair Winnipeg experts can repair most power supplies. Even those clogged up with grease and dirt (as they usually are). If your PSU is still under warranty call the manufacturers for help. If your unit has lost the warranty, you can still get it repaired from an experienced third-party industrial electronic repairs shop – such as GC Custom Electronics. However, none of this will solve your problem, if you purchased one of those supplies which have no name, are super cheap and were available on a shady website. If this is the scenario, your best bet is to get it replaced with a better quality power supply. Have questions? Feel free to contact our electronics repair Winnipeg experts.